If you are one of the lucky ones who has an MSDN or a BizSpark subscription (One of the best deals around on the internet) and use the hosted build environment of Visual Studio Online it is tricky that you only get 60 minutes of free build time a month if you want to do continuous integration (Which you should do!) using it. However I just discovered a trick how to get around this limit by accident. 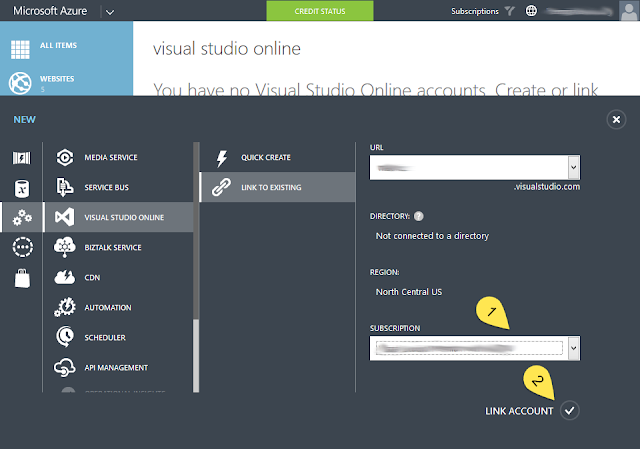 First of all log into your Azure management console and then go to the tab for Visual Studio Online subscriptions. Then click on the unlink button at the bottom when you have the subscription you want new minutes for building or testing on. You will get a warning about losing any licenses you have purchased through your Azure subscription for Visual Studio Online so if you have done that you can't use this trick. 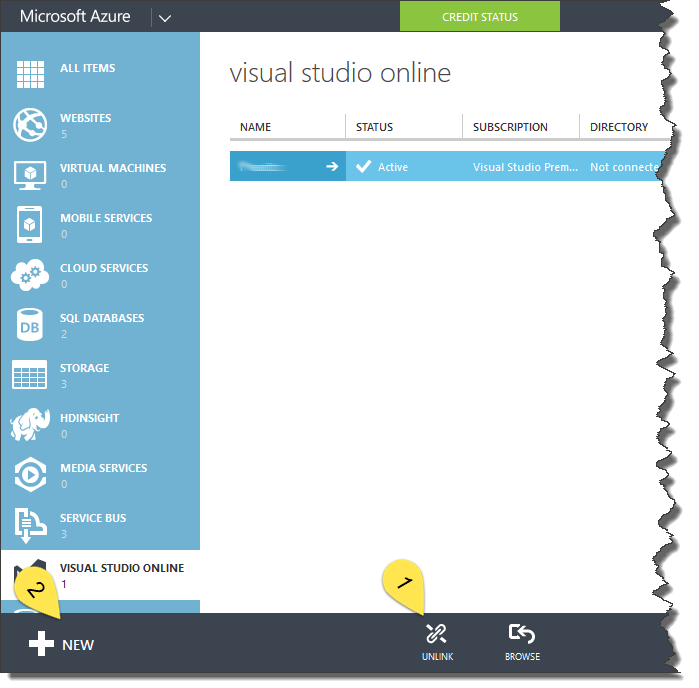 Then click on new at the bottom left of the management screen to link your Visual Studio Online account back to your Azure subscription. Select the Visual Studio Online account you unlinked earlier and make sure you have the correct subscription selected in the drop down (It defaults to the pay as you go subscription so you will need to change this). Press the link button in the lower right. That's it, if you go back your home page on Visual Studio Online you should be able to see that you have a new allotment of build and test minutes. DISCLAIMER: You might be violating your terms of service with Microsoft by doing this and I also expect Microsoft to fix this at some point so you at your own risk.